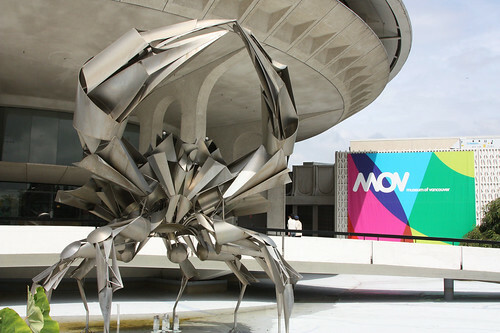 Vancouver does have a long history of ignoring its own artists even as they’re celebrated elsewhere, but I’m still surprised that so many of Norris’ public pieces have been removed and destroyed, including the tall steel piece below which used to stand outside Pacific Centre downtown. This post is just a small reminder of Norris’ work. Find more information— here and many more works here. One of Norris’ most popular works is the frieze on the exterior of the post office at 8th and Pine (I believe that’s the corner). Photo below. 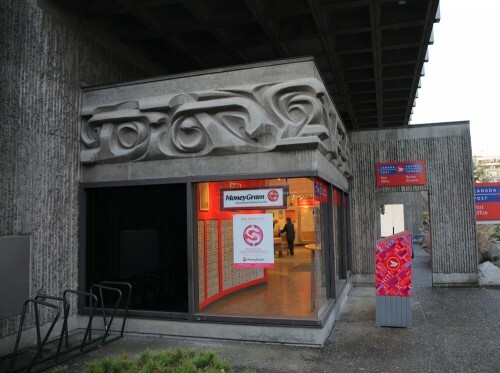 Norris was trained in Vancouver and London at the Slade School. 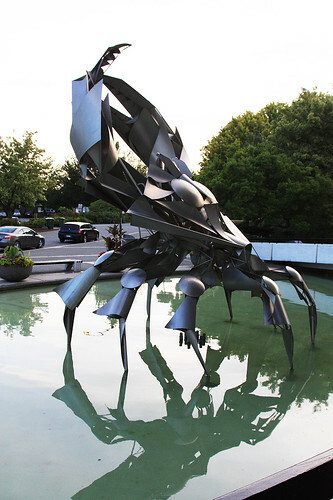 Norris is the uncle of award-winning Vancouver artist Arabella Campbell. This entry was posted on Sunday, March 17th, 2013 at 7:11 pm	and is filed under architecture, art, British Columbia, Canadian design, cities, design, Vancouver. You can follow any responses to this entry through the RSS 2.0 feed. You can leave a response, or trackback from your own site. 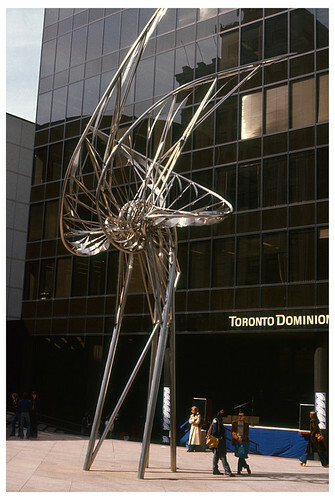 Yikes, I forgot about that winged sculpture in front of what used to be Eaton’s! That something so iconic, so LARGE, can be forgotten is kind of poignant. And even sadder is what happened to it…Thanks for bringing my attention to this noteworthy artist.